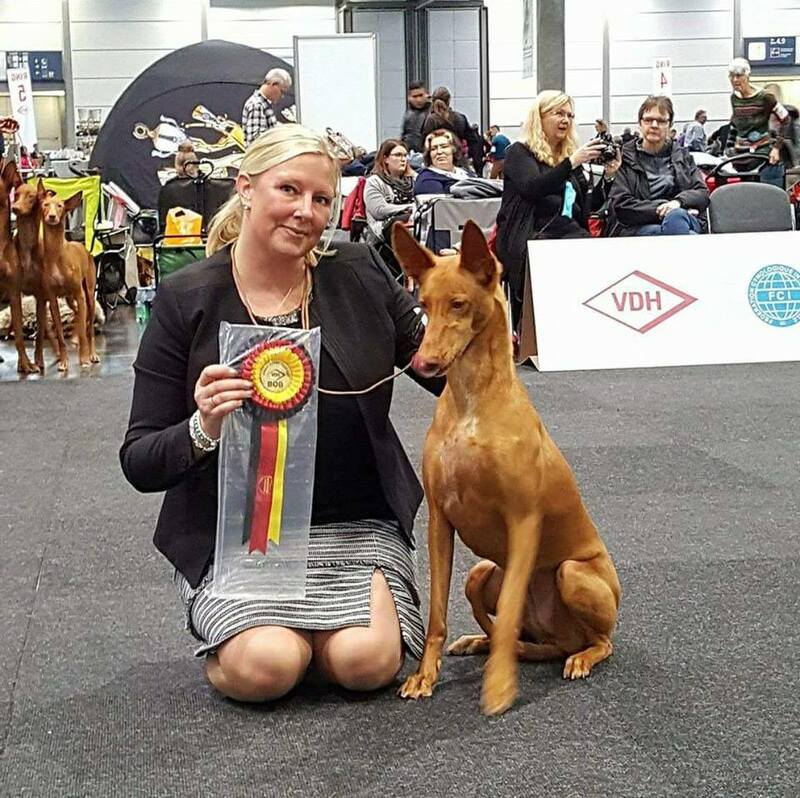 We travelled to Germany for German WInner and the World Dog Show with Yatzy, Ch. Enigma Ruby Red Sparkles, Hilda, Enigma Serendipity and Katniss, Ch. Takuini Dark Flame Enigma. 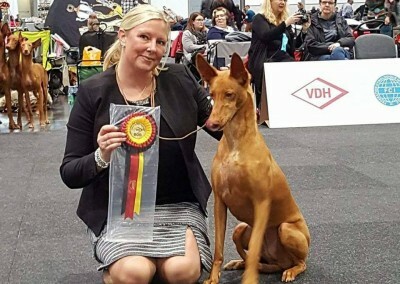 At German Winner Yatzy was Best Of Breed with CAC and CACIB, winning the title “German Winner” and becoming a new international champion (C.I.B.). Hilda won intermediate class with CAC. In the basenjiring Katniss won the champion class with CAC and R-CACIB. At the World dog show Yatzy was fourth in champion class and Hilda once again won the intermediate class with CAC making her a GERMAN (VDH) CHAMPION. Katniss was fourth in champion class. A lot of entries and some nice dogs so we are pleased with our trip.